Jane Austen – English novelist. Jane Austen, English writer who first gave the novel its distinctly modern character through her treatment of ordinary people in everyday life, born December 16, 1775, Steventon, Hampshire, England. Austen’s plots often explore the dependence of women on marriage in the pursuit of favorable social standing and economic security. Her works critique the novels of sensibility of the second half of the 18th century and are part of the transition to 19th-century literary realism. Her use of biting irony, along with her realism, humor, and social commentary, have long earned her acclaim among critics, scholars, and popular audiences alike. Born into a large and close-knit family that belonged to the lower fringes of English gentry, she wrote what she had seen and experienced. She started writing at the age of twelve and by the age of eighteen, she had created a large volume of work, which though rather boisterous, shows her dislike for sentimental fictions. Her first serious work ‘Lady Susan’ was written at the age of nineteen. She then went on to produce more novels. However, none of them found publishers until she settled down in Chawton and her brother Henry began to act as her literary agent. Thereafter, four of her novels were published in quick succession; the rest being published shortly after her death. 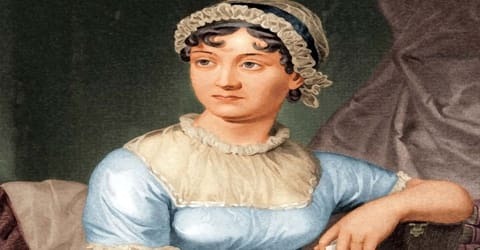 She published four novels during her lifetime: Sense and Sensibility (1811), Pride and Prejudice (1813), Mansfield Park (1814), and Emma (1815). She wrote two additional novels, Northanger Abbey and Persuasion, both published posthumously in 1818, and began another, eventually titled Sanditon, but died before its completion. She also left behind three volumes of juvenile writings in manuscript, a short epistolary novel Lady Susan, and another unfinished novel, The Watsons. Her six full-length novels have rarely been out of print, although they were published anonymously and brought her moderate success and little fame during her lifetime. While not widely known in her own time, Austen’s comic novels of love among the landed gentry gained popularity after 1869, and her reputation skyrocketed in the 20th century. Her novels, including Pride and Prejudice and Sense and Sensibility, are considered literary classics, bridging the gap between romance and realism. Austen has inspired a large number of critical essays and literary anthologies. Her novels have inspired many films, from 1940’s Pride and Prejudice to more recent productions like Sense and Sensibility (1995), Emma (1996), Mansfield Park (1999), Pride & Prejudice (2005), and Love & Friendship (2016). Jane Austen was born on 16 December 1775 in the village of Steventon in Hampshire. Her father, Reverend George Austen, was the rector of the Anglican parishes of Steventon and Dean. A great reader, he owned a vast library and often supplemented his income by tutoring students for Oxford. Her mother, Cassandra (née Leigh), was famed for her ready wit, impromptu verses and stories. Jane was born seventh of their eight children; she had six brothers named James, George, Edward, Henry, Francis, Charles and an elder sister named Cassandra. From childhood, Jane was very fond of her sister. Their mother had once said, “If Cassandra’s head had been going to be cut off, Jane would have hers cut off too”. Jane Austen’s lively and affectionate family circle provided a stimulating context for her writing. Moreover, her experience was carried far beyond Steventon rectory by an extensive network of relationships by blood and friendship. It was this world of the minor landed gentry and the country clergy, in the village, the neighborhood, and the country town, with occasional visits to Bath and to London that she was to use in the settings, characters, and subject matter of her novels. 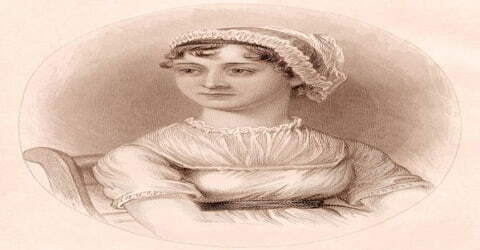 Jane Austen was mostly educated at home by her father and her elder brothers. In addition, she was also an extensive reader and imbibed a lot through her reading. Another unusual source of her education was the private theatricals that were staged by the siblings in the rectory’s barn. It is believed that they helped to develop her sense of satire. 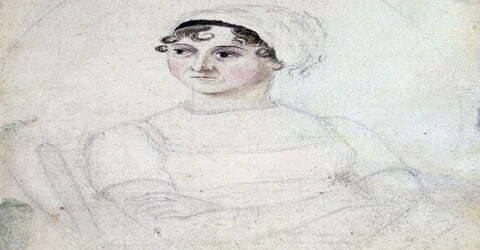 Jane Austen never married herself, but did receive at least one proposal and led an active and happy life, unmarked by dramatic incident and surrounded by her family. In 1802 it seems likely that Jane agreed to marry Harris Bigg-Wither, the 21-year-old heir of a Hampshire family, but the next morning changed her mind. There are also a number of mutually contradictory stories connecting her with someone with whom she fell in love but who died very soon after. In the 1790s, during her adolescence, she started to craft her own novels and wrote ‘Love and Friendship’, a parody of romantic fiction organized as a series of love letters. Using that framework, she unveiled her wit and dislike of sensibility, or romantic hysteria, a distinct perspective that would eventually characterize much of her later writing. The next year she wrote The History of England…, a 34-page parody of historical writing that included illustrations drawn by Cassandra. These notebooks, encompassing the novels as well as short stories, poems, and plays, are now referred to as Jane’s Juvenilia. The next year she wrote The History of England, a manuscript of thirty-four pages accompanied by thirteen watercolor miniatures by her sister, Cassandra. Austen’s History parodied popular historical writing, particularly Oliver Goldsmith’s History of England (1764). Honan speculates that not long after writing Love and Friendship, Austen decided to “write for profit, to make stories her central effort”, that is, to become a professional writer. When she was around eighteen years old Austen began to write longer, more sophisticated works. Her earliest known writings date from about 1787, and between then and 1793 she wrote a large body of material that has survived in three manuscript notebooks: Volume the First, Volume the Second, and Volume the Third. These contain plays, verses, short novels, and other prose and show Austen engaged in the parody of existing literary forms, notably the genres of the sentimental novel and sentimental comedy. In August 1792, aged seventeen, Austen started writing Catharine or the Bower, which presaged her mature work, especially Northanger Abbey; it was left unfinished and the story picked up in Lady Susan, which Todd describes as less prefiguring than Catharine. A year later, she began but abandoned a short play, later titled Sir Charles Grandison or the happy Man, a comedy in 6 acts, which she returned to and completed around 1800. This was a short parody of various school textbook abridgements of Austen’s favorite contemporary novel, The History of Sir Charles Grandison (1753), by Samuel Richardson. Her passage to a more serious view of life from the exuberant high spirits and extravagances of her earliest writings is evident in Lady Susan, a short epistolary novel written about 1793–94 (and not published until 1871). This portrait of a woman bent on the exercise of her own powerful mind and personality to the point of social self-destruction is, in effect, a study of frustration and of woman’s fate in a society that has no use for her talents. Jane Austen’s first major novel was Sense and Sensibility, whose main characters are two sisters. The first draft was written in 1795 and was titled, Elinor and Marianne. In 1797 Austen rewrote the novel and titled it Sense and Sensibility. After years of polishing, it was finally published in 1811. When Austen became an aunt for the first time at age eighteen, she sent new-born niece Fanny-Catherine Austen-Knight “five short pieces of … the Juvenilia now known collectively as ‘Scraps’ .., purporting to be her ‘Opinions and Admonitions on the conduct of Young Women’ “. For niece Jane-Anna-Elizabeth Austen (also born in 1793) Jane Austen wrote “two more ‘Miscellanious Morsels’, dedicating them to (Anna) on 2 June 1793, ‘convinced that if you seriously attend to them, You will derive from them very important Instructions, with regard to your Conduct in Life.’ “. During the middle of 1798, after finishing revisions of Elinor and Marianne, Austen began writing the third novel with the working title Susan later Northanger Abbey a satire on the popular Gothic novel. Austen completed her work about a year later. In early 1803, Henry Austen offered Susan to Benjamin Crosby, a London publisher, who paid £10 for the copyright. Crosby promised early publication and went so far as to advertise the book publicly as being “in the press”, but did nothing more. The manuscript remained in Crosby’s hands, unpublished until Austen repurchased the copyright from him in 1816. In 1801, Jane moved to Bath with her father, mother, and Cassandra. Then, in 1805, her father died after a short illness. As a result, the family was thrust into financial straits; the three women moved from place to place, skipping between the homes of various family members to rented flats. It was not until 1809 that they were able to settle into a stable living situation at Jane’s brother Edward’s cottage in Chawton. In 1811 Jane Austen began Mansfield Park, which was published in 1814. It is her most severe exercise in moral analysis and presents a conservative view of ethics, politics, and religion. The novel traces the career of a Cinderella-like heroine, who is brought from a poor home to Mansfield Park, the country estate of her relative. She is raised with some of the comforts of her cousins, but her social rank is maintained at a lower level. Despite their strict upbringing, the cousins become involved in marital and extramarital tangles, which bring disasters and near-disasters on the family. But the heroine’s upright character guides her through her own relationships with dignity although sometimes with a chilling disdainfulness (open disapproval) and leads to her triumph at the close of the novel. While some readers may not like the rather priggish (following rules of proper behavior to an extreme degree) heroine, the reader nonetheless develops a sympathetic understanding of her thoughts and emotions. The reader also learns to value her at least as highly as the more attractive, but less honest, members of Mansfield Park’s wealthy family and social circle. Finally, in 1811, the revised version of ‘Elinor and Marianne’ was published anonymously as ‘Sense and Sensibility’ by London publisher Thomas Egerton. Sold on a commission basis, it earned her £140. Next in 1813, ‘First Impression’ was published as ‘Pride and Prejudice’. In this case, she sold the copyright for £110. The novel was an instant hit and by 1817, three editions had been sold out. 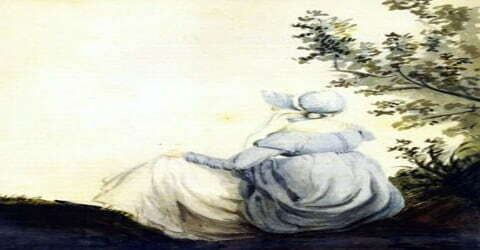 In 1814, Austen wrote a letter to her niece, Fanny Knight, who had asked for advice about a serious relationship, telling her that “having written so much on one side of the question, I shall now turn around & entreat you not to commit yourself farther, & not to think of accepting him unless you really do like him. Anything is to be preferred or endured rather than marrying without Affection”. The English scholar Douglas Bush wrote that Austen had “had a very high ideal of the love that should unite a husband and wife … All of her heroines … know in proportion to their maturity, the meaning of ardent love”. A possible autobiographical element in Sense and Sensibility occurs when Elinor Dashwood contemplates that “the worse and most irremediable of all evils, a connection for life” with an unsuitable man. Her third novel, ‘Mansfield Park’ was published in May 1814, also by Egerton. Although reviewers neglected it, it was a huge hit and the novel earned her the maximum profit. Her fourth novel ‘Emma’ was published by John Murray, a better known London publisher, in December 1815. The book was dedicated to Prince Regent (later George IV), albeit at a discreet royal command. 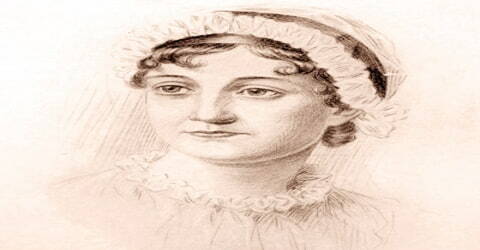 Sometime in early 1816, Jane Austen was inflicted with some serious illness, later diagnosed as Addison’s disease. However, she continued to write and by August rewrote the final chapters of ‘The Elliots’ and also started a burlesque, titled ‘Plan of a Novel, According to Hints from Various Quarters’ (published in 1871). Next, she started working on ‘The Brothers’ (later titled ‘Sanditon’). However, her condition began to deteriorate and she made her will in April 1817. The cottage in Chawton, in which she spent her last eight years, has been turned into a museum. Known as Jane Austen’s House Museum, it holds Austen family items and furniture, three pieces of her jewelry and eight music books owned by her. Besides, there is the Jane Austen Centre at Bath. Apart from holding a life-size wax model of Jane Austen, it tries to depict her life at Bath and its effect on her writing through a permanent exhibition. Austen was feeling unwell by early 1816 but ignored the warning signs. By the middle of that year, her decline was unmistakable, and she began a slow, irregular deterioration. She continued to work in spite of her illness. As her illness progressed, she experienced difficulty walking and lacked energy; by mid-April, she was confined to bed. She died on July 18, 1817, at the age of 41, in Winchester, England, where she had gone to seek medical attention and was buried there. The popularity of her work is also evident in the many film and TV adaptations of Emma, Mansfield Park, Pride and Prejudice, and Sense and Sensibility, as well as the TV series and film Clueless, which was based on Emma.